Check out www.mammothmetalfestival.co.uk or facebook.com/mammothmetalfestival for more details about the festival. 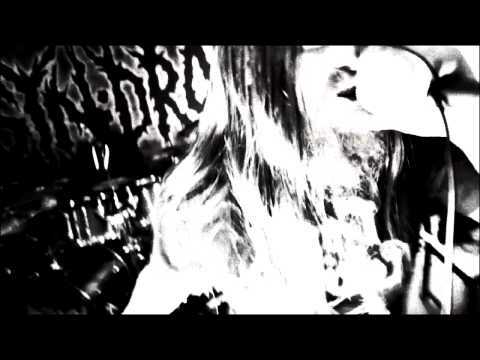 Official video for the song “Through Divine Intoxication”. Taken from the album ICONOCLASM. Directed and edited by Roger Bergsten. Click here to watch the video “Through Divine Intoxication” at YouTube. We are proud to be sharing the stage with such amazing bands! This is the first preview of our upcoming album “Iconoclasm” that will be released in February 15th 2013 by the Swedish label Vicisolum Productions. Iconoclasm is the highly anticipated second album by the Swedish death metal band SYN:DROM and the follow-up of their 2009 debut “With flesh unbound”. The album includes 10 tracks of furious death metal and is the result of over a year of hard work and a proof of great songwriting skills and musicianship. Iconoclasm is to be released worldwide on February 15th 2013 by the Swedish label Vicisolum Productions. We are currently working on our second album which will be released on Vicisolum productions in 2012! Now you are able to buy some awesome merchandise. CD “With Flesh Unbound” for free !!! Official “scorned messiah” live video launced! The official live video for “scorned messiah” is now launched! The vide was shot at the “with flesh unbound” release party at Pipeline in May 2010! The video was edited by Niklas Björklund and Jonny Pettersson and you can check it out at the “video” section! Daniel Mikaelsson is now officially endorsed by Spunky Drums! Spunky is a custom drum company and one of its kind in Sweden! Their snares and custom drumkits are shipped all over the world and is known for their superb sound and quality! A custom “DM” snare is being designed right now and will hopefully be ready within a motnh or so! Order your copy of “With flesh unbound” now! You can now order your copy of this years most hard hitting Death Metal album “WITH FLESH UNBOUND”. The album has got brilliant reviews wordwide! And also don´t forget to check out interviews with the band in Legacy Magazine, Metal Hammer (Germany), Close-Up and Sickdrummer magazine.